Item # 302466 Stash Points: 5,499 (?) This is the number of points you get in The Zumiez Stash for purchasing this item. Stash points are redeemable for exclusive rewards only available to Zumiez Stash members. To redeem your points check out the rewards catalog on thestash.zumiez.com. 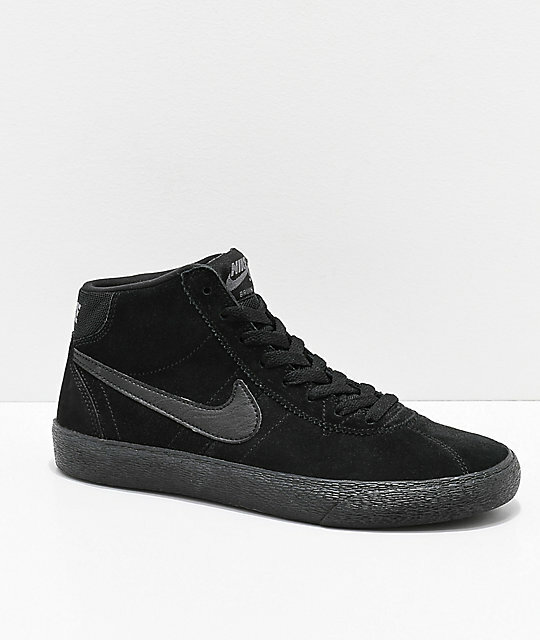 Enhance your sporty looks with Nike SB's iconic Bruin Hi Skate Shoes, now draped in a sinister black colorway. 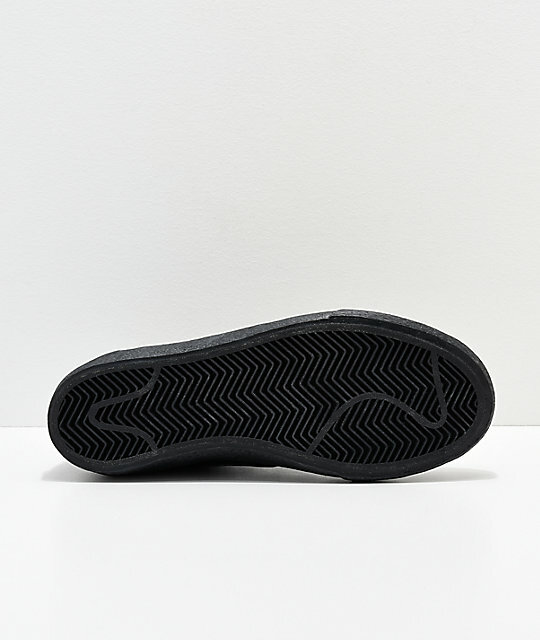 As the first Nike SB skate shoe specifically designed for women, these shoes have a slimmed down construction based on the anatomy of the female foot. 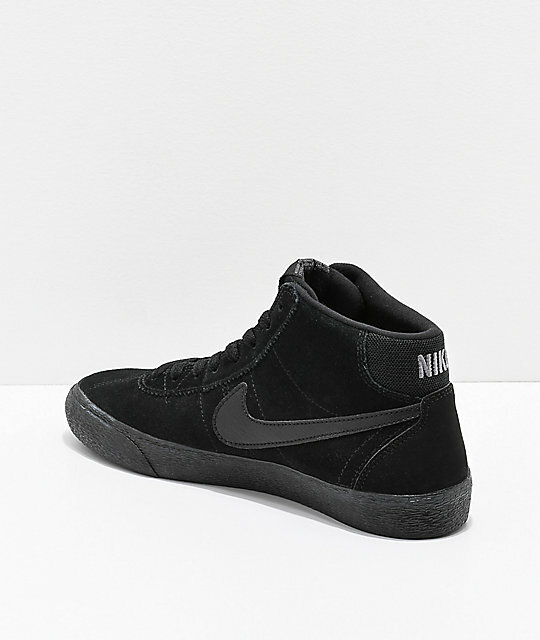 The Bruin's have a durable suede upper and were given a soft textile liner/Nike Zoom sockliner, perfect for skateboard cushioning and daily comfort. 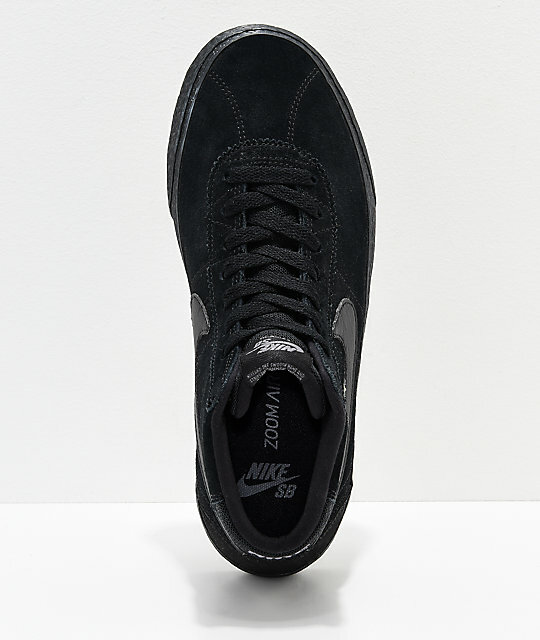 Bruin Hi All Black Skate Shoes from Nike SB.